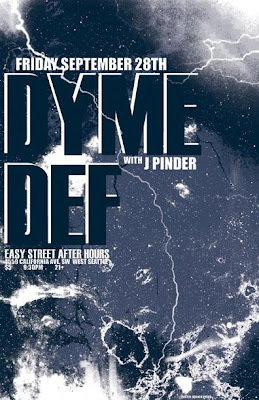 This Friday you can catch Dyme Def and J. Pinder at Easy Street for an installment of After Hours. Check out the new live shows we have lined up at our West Seattle location! These "after-hours" events are all 21+ events, with a $5.00 cover at the door! Start your weekends off early with a trip to the westside and check out some of these great performances!